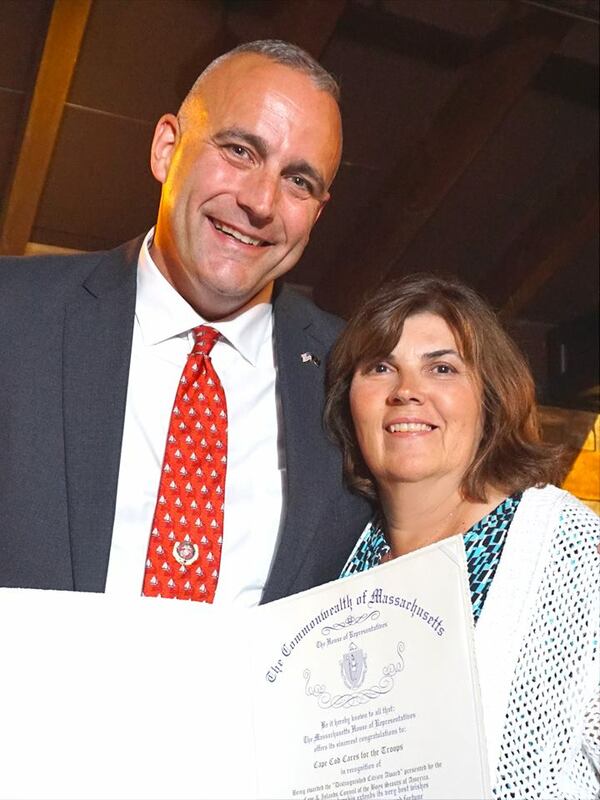 Michelle speaks to Dennis, MA. 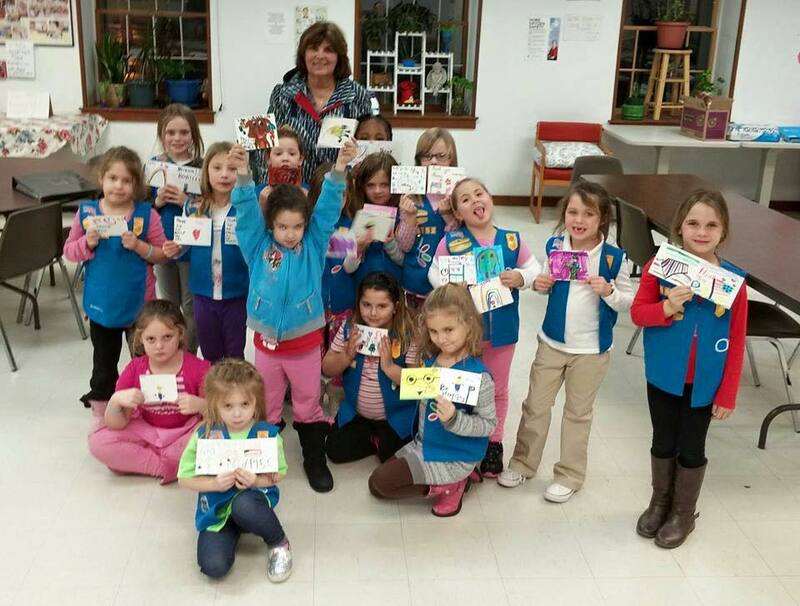 Daisy Troop about proper flag etiquette, the girls made thank you cards that will be placed in care packages going to our Troops in Afghnistan. 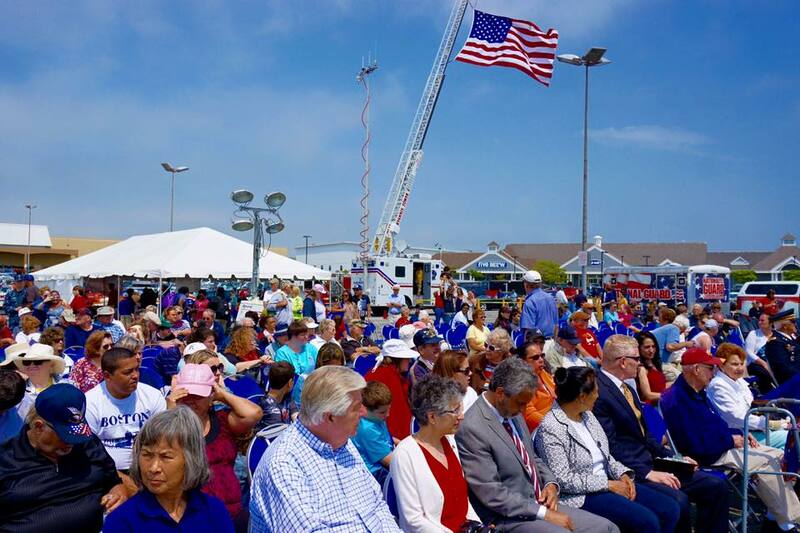 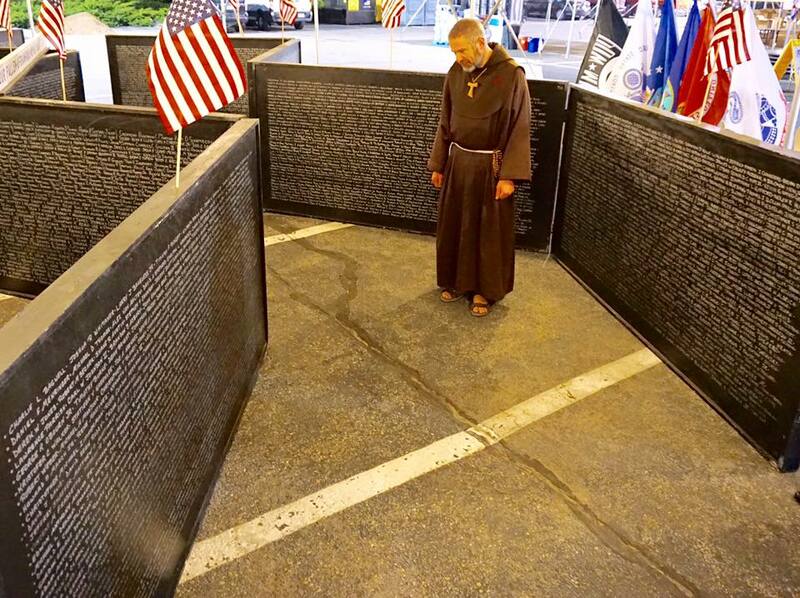 New England largest 24 hour Memorial Day Weekend Event held at K-Mart Plaza off Route 132 Hyannis, MA. 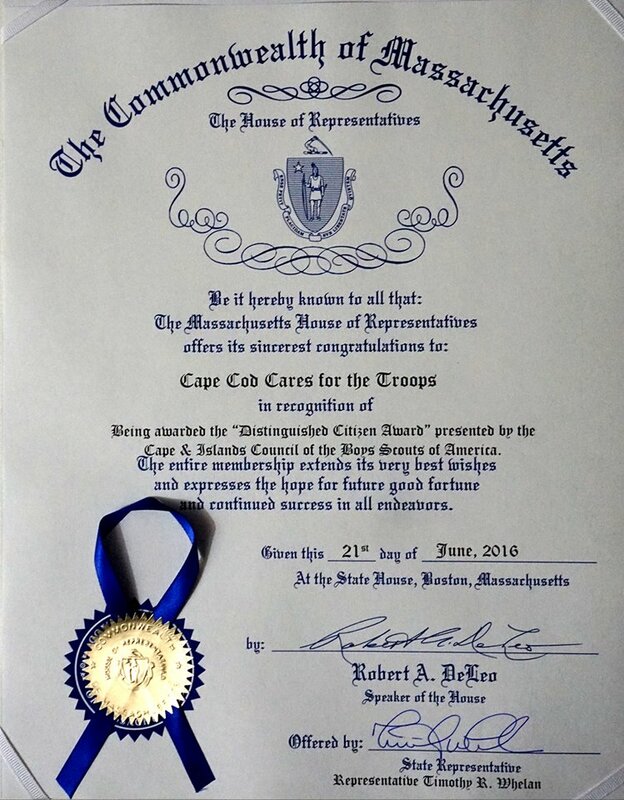 Cape Cod Cares for he Troops receives a citation from the Massachusetts House of Representatives presented to Michelle by Rep. Tim Whelan. 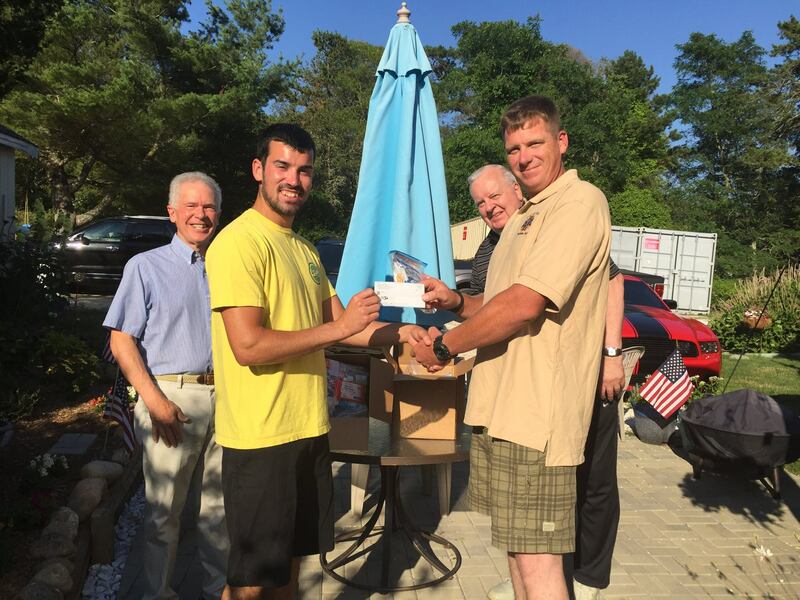 Chatham VFW members Ted Miller, Don Devine, and Alan Manglinkx present Dylan with $2500.00 to cover shipping for Cape Cod Cares for the Troops care packages. 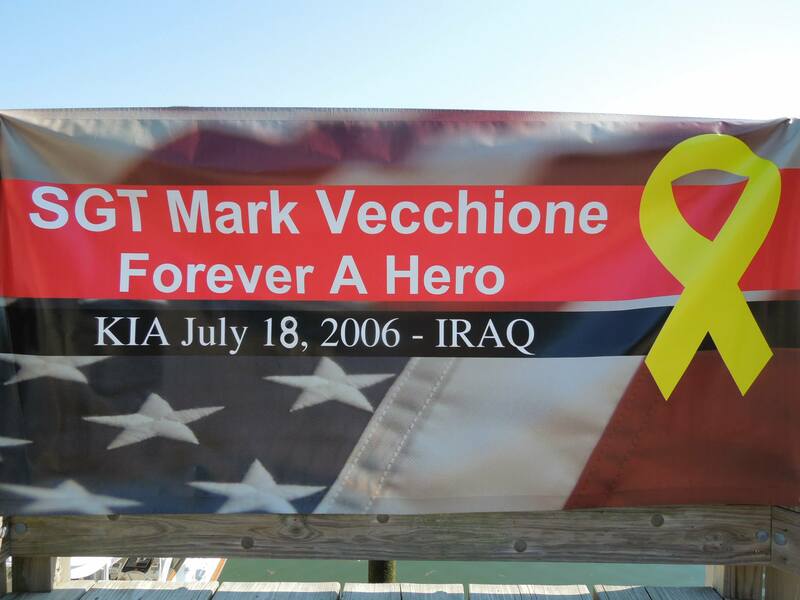 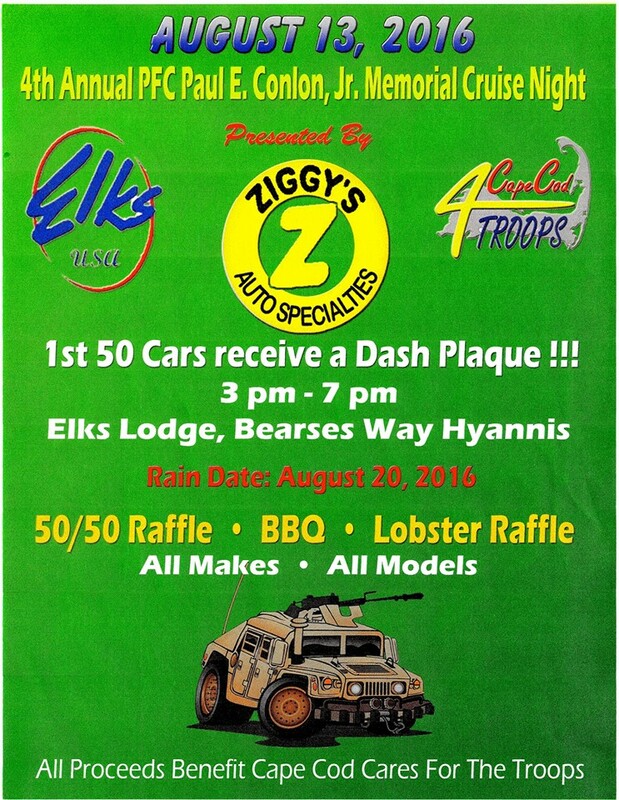 8th Annual Canal Run for the Troops held at the Buzzards Bay Recreational Area - 33 Canal Service Road, Bourne, MA. 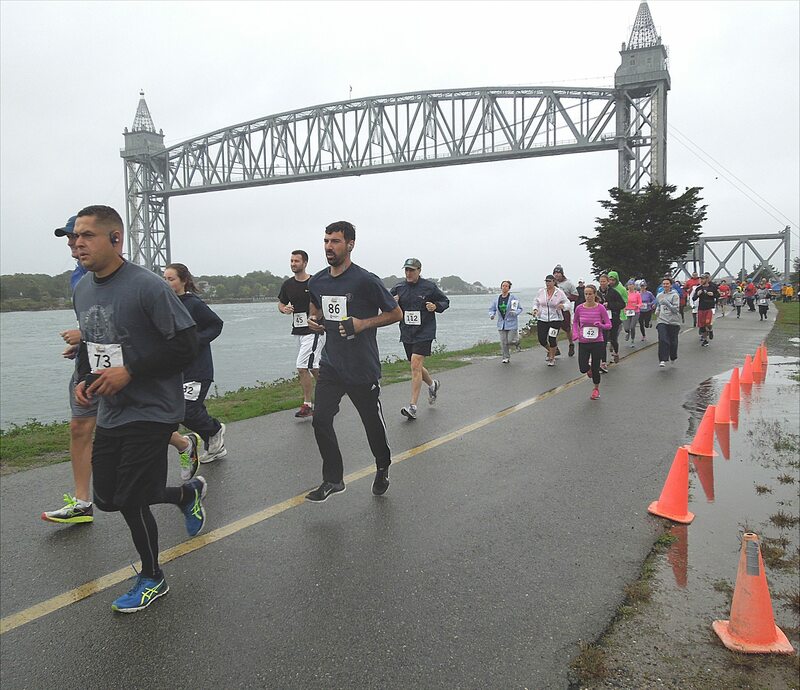 Thank you to all the vonlunteers and runners who braved the driving rain to support our Troops. 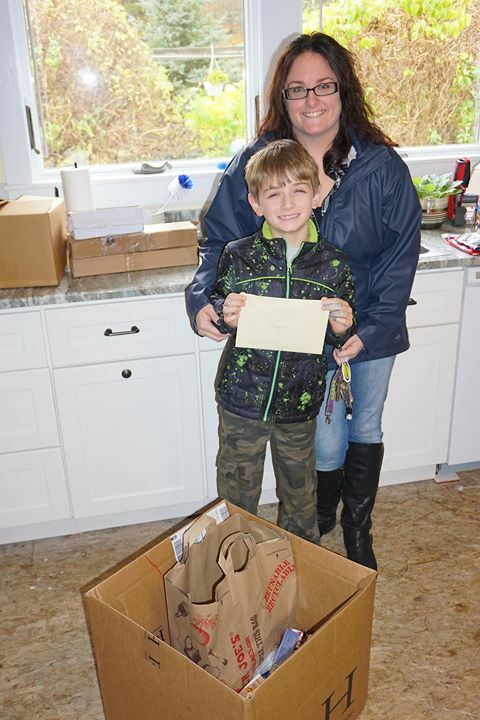 Brayden (with his mom) for his 8th birthday he asked his friends and family instead of gifts for him to please bring items for care packages or make a donation to Cape Cod Cares for the Troops. 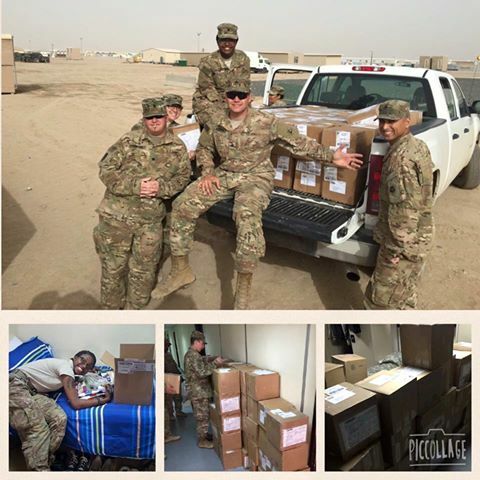 He brought us a big box of donations and a check for $175.00 Awesome Job! 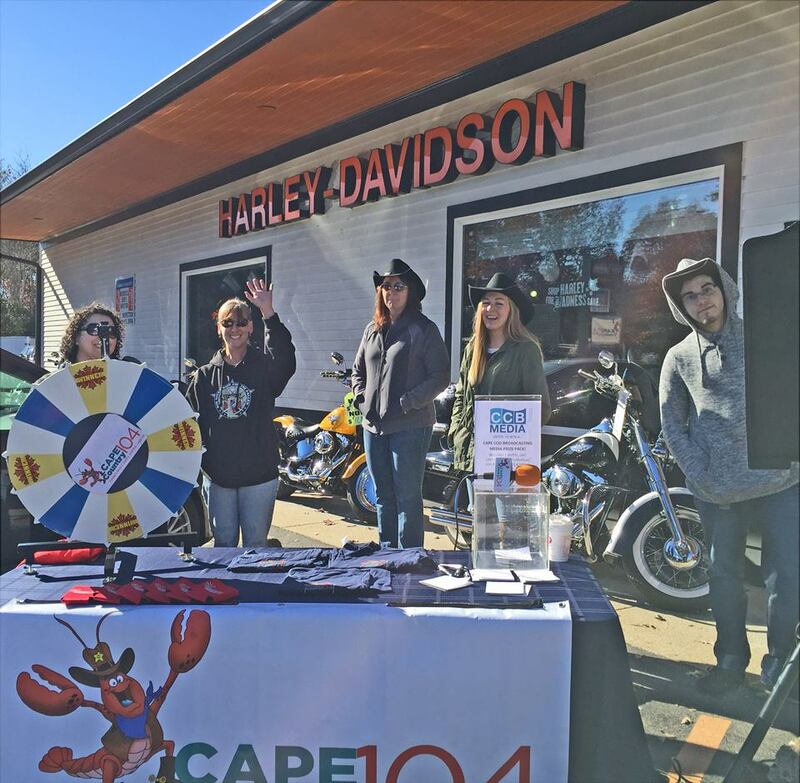 Military Appreciation Day at Cape Cod Harley in Pocasset, MA. 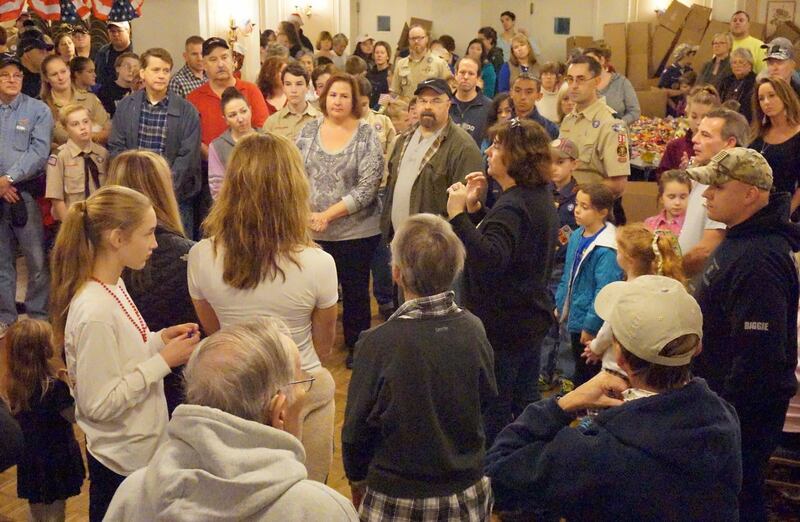 8th Annual Christmas Care Package Party at the Trowbridge Tavern in Bourne, MA. 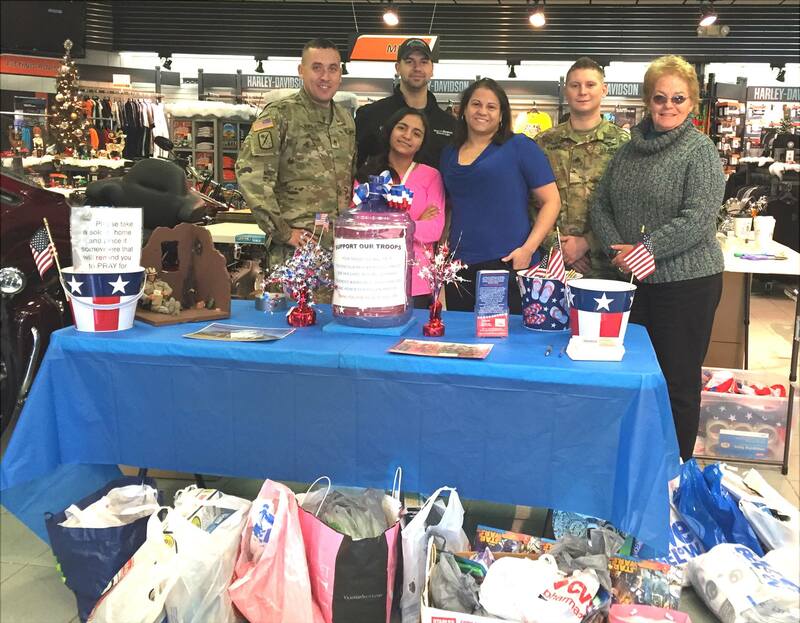 Thank you to everyone who showed up and helped us put together and sent out 1,200 Christmas Care Packages to our deployed Troops. 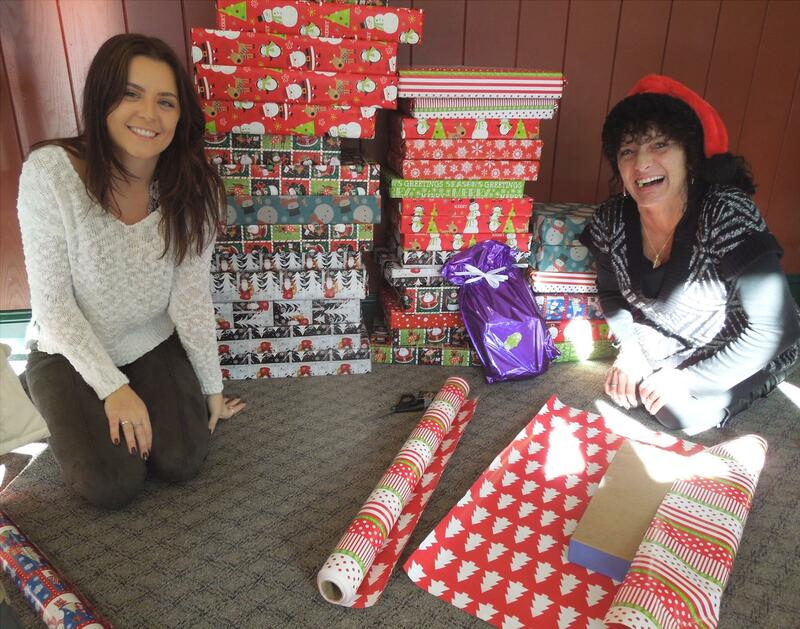 Volunteers gift wrapping 100's of gifts for Wounded Warrior Christmas at Fort Belvoir at the British Beer Company in Sandwich & Falmouth, MA. 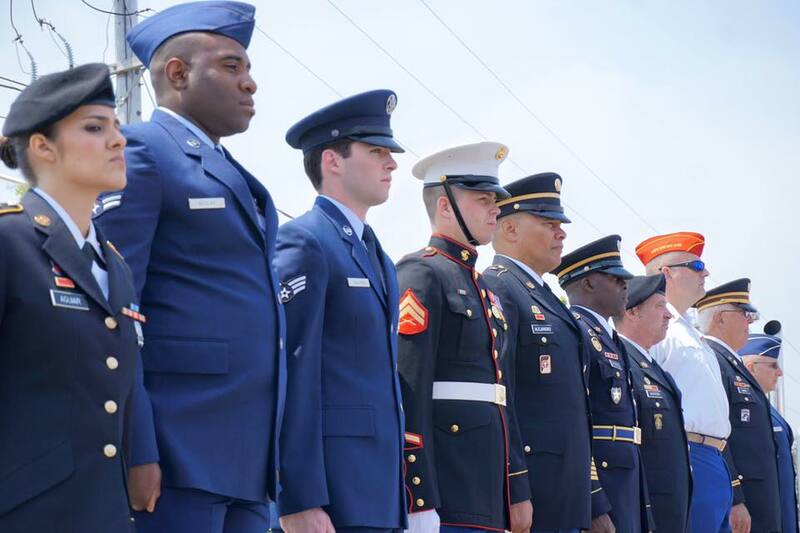 7th Annual Wounded Warrior Christmas Party at Fort Belvoir, VA. presenting gifts to 41 Wounded Warrior and their families.